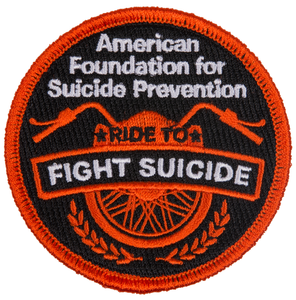 It’s a no-brainer: if you’re a participant in a Ride to Fight Suicide, you’re going to want a Ride to Fight Suicide Patch to display your support when you’re zoomin’ around on your hog (i.e. motorcycle) or just walking down the street on your way to the library. You’ll be the torque of the town.